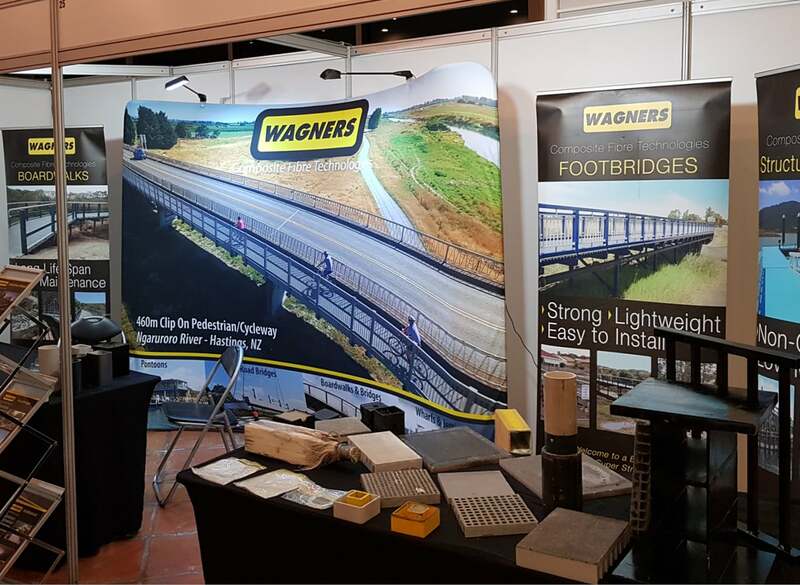 Quantum Marketing have an impressive range of expo display solutions with our focus being portable displays that are lightweight, fast to set-up, flexible and offer incredible value for money. 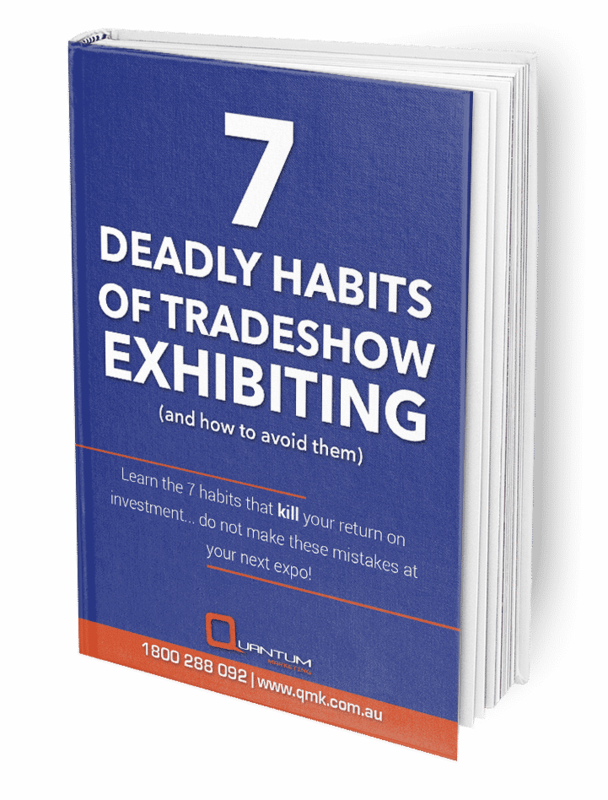 Learn the 7 deadly habits that kill your return on investment... Do not make these mistakes at your next expo! 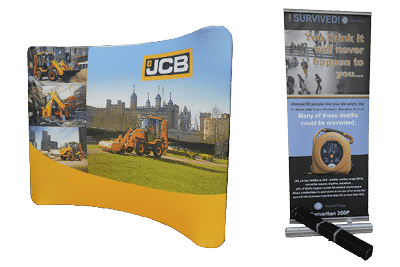 When you are planning on setting up your own exhibition stand, you'll want something that is lightweight, portable and easy to put together. 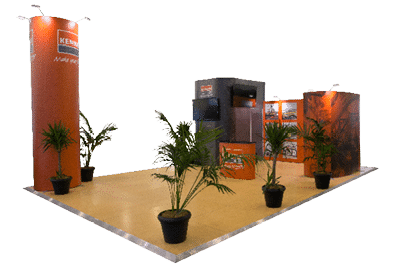 Depending on your location, event duration, floor space and accessory requirements, Quantum Marketing have the perfect ISOframe product for your need. 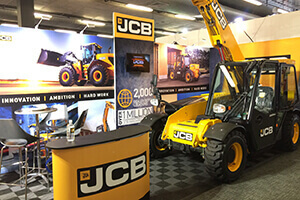 We will work with you and your branding team to develop a stand that engages customers, gets attention and delivers your key marketing message with ease. ISOframe Wave can fit that shape — and then easily transform into yet another design layout. Moving from a large space to a smaller one - thats no problems either! Simply set it up with less modules and you can avoid the pain of designing a whole new stand again. With the quality of European manufacturing and a 10 year warranty on all hardware, when you invest in an ISOframe you can expect it to still be in use many years later - and still look like it was purchased yesterday! A sizeable, seamless display that you can assemble yourself! 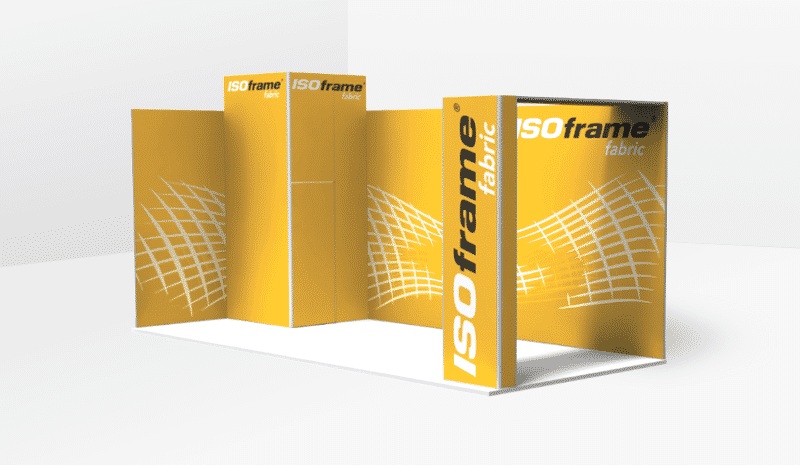 With its tool-less assembly and fabric construction, the ISOframe Fabric is perfect for creating large, seamless, high impact flat walls, idea for shell schemes or free-standing booths. 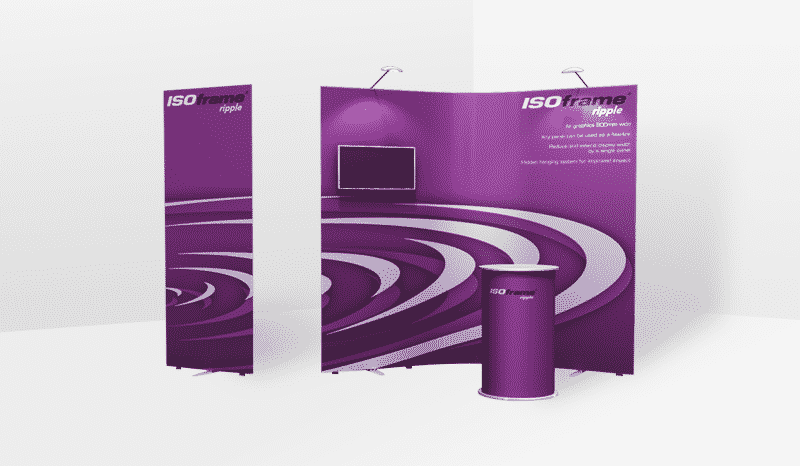 Using silicone-edged tension fabric (SEG) and patented FASTclamp technology, the ISOframe Fabric forms a contemporary exhibition stand in minutes. With the same quality European manufacturing and warranty as the Wave - this is another product that once you invest in it, you know it will outlast any other system on the market. Click here to view our client projects and case studies! Classic Expo Displays - With a unique twist! We know that many companies who are just starting out and on tight budgets, still exhibit at expos and trade shows. We also know that they have a burning need for a decent stand that looks great yet is still affordable and gives great return for their investment. We have a fantastic range of solutions that fit this brief perfect. 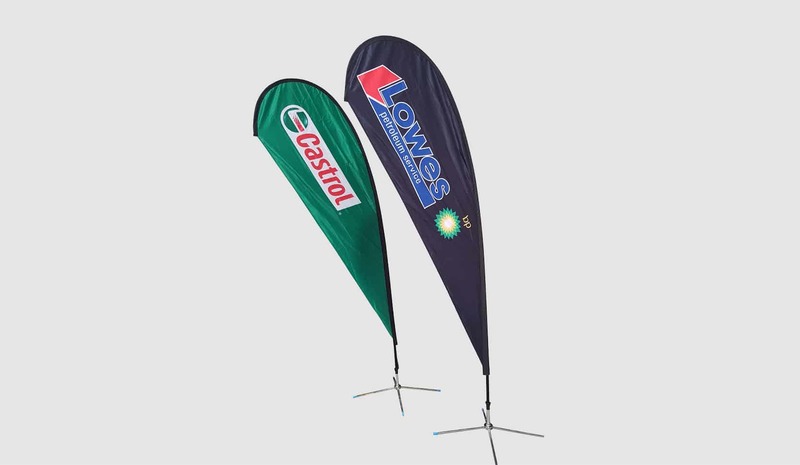 From the ISOframe Ripple system through to the Swellstand fabric displays and your common accessories such as teardrop banners, flags and pull-up banners, you will find we have it all. 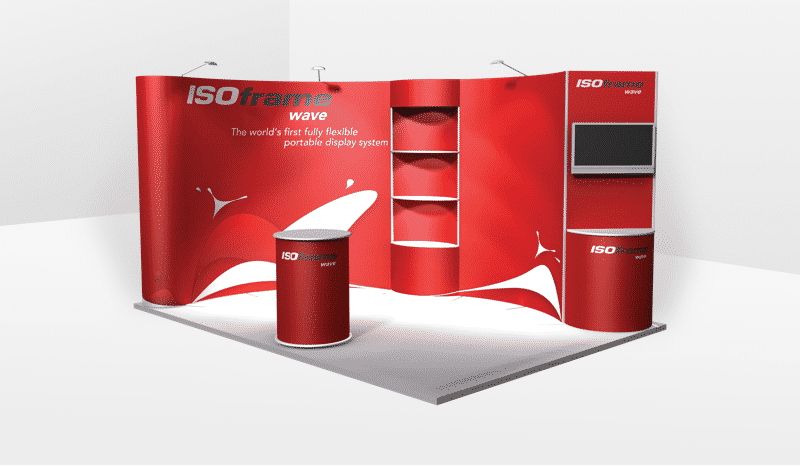 If simplicity, flexibility and fast assembly are critical for your portable trade show display, then ISOframe Ripple is for you. The next step up from a pull-up banner - this system makes you look fantastic with as little as 2 min set-up time! Best suited for those trade nights and media wall applications where you don't have the restrictions of a booth. 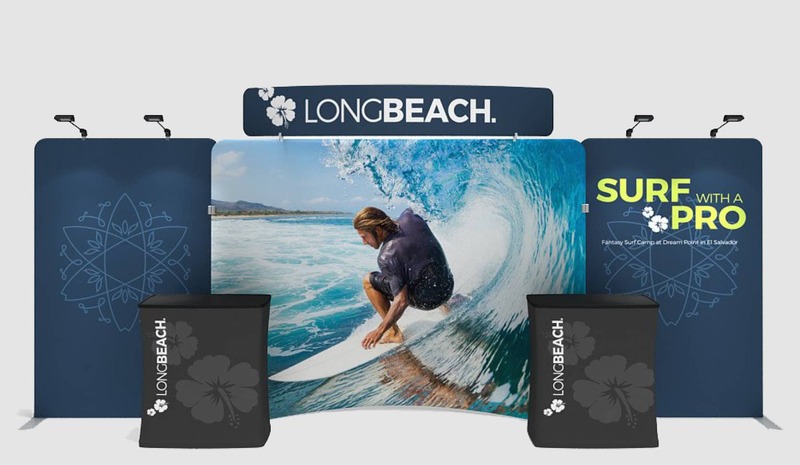 The future of large, affordable marketing displays is here with the Swellstand tension fabric display. The ultimate in inexpensive, value for money displays. With a multitude of options from light boxes, curved walls, air inflatable counters and convertable travel cases, this system can do it all. 12 month warranty on all components and fast turnaround from our offshore factories, this system is hard to go past for value. 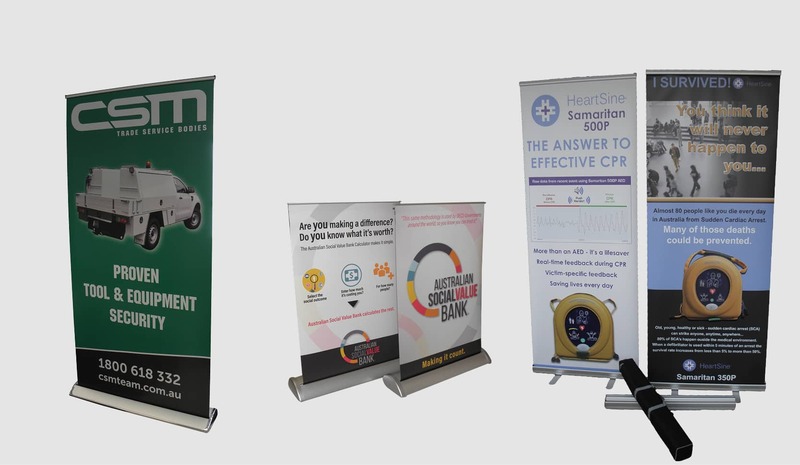 Everyone has used the trusty Pull-Up Banner, pop-up banner or roll-up banner, (whatever you prefer to call them...) at some stage. These are the marketing managers fall back for those tight spaces where a decent size backdrop cant be used - or even when the budget can't afford anything bigger - we have it covered. Starting from as low as $145 for a standard 850w x 2000h(mm) pull-up banner, you won't be disappointed if you give us a call. 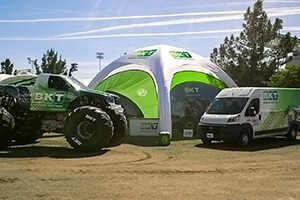 Outdoor events - the gathering place for rural based companies and the machinery industries. Whether you are going to Ag-quip in Gunnedah, Deisel Dirt & Turf in Penrith, Machinery Field day in Henty or the Farmfest in Toowoomba, we will have what you need to stand out in the field of your competitors. 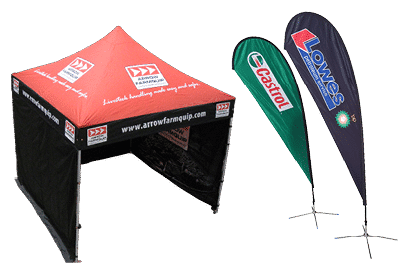 Whether its a marquee or gazebo you need, a high quality unique inflatable tent or the basic teardrop flags and table wraps, talk to the team today to find out how we can help. The old favourite! Custom Printed Marquees are one of the best ways to make a statement on the ground. With options from the 3m x 3m right up to a huge 4m x 8m you will be pleasantly surprised when you talk to us about our marquees. You want to spice your event up? Get your propects congratulating you on your stand? 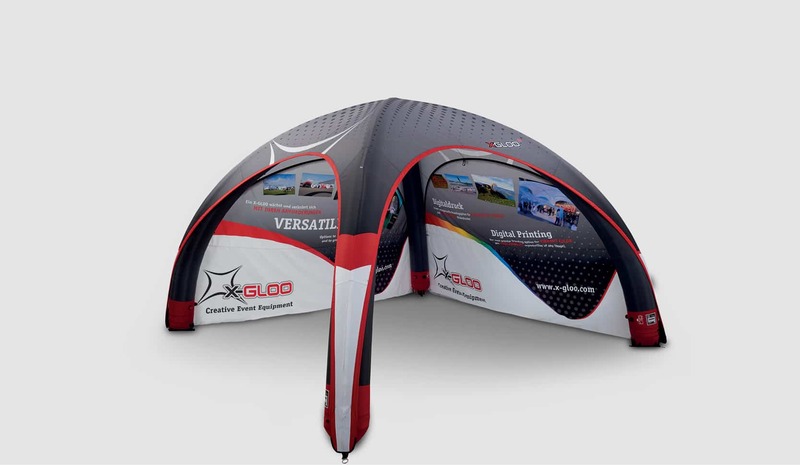 You will have to invest in an inflatable event tent - the X Gloo. Powered by air, these amazing tents are designed and made in Germany. High class, high-quality for an event tent that will be yours for years to come. Teardrop Banners, Bow Banners, Bali Flags. Whatever it is you need - we have it! Single sided printing or full double sided, options for bases and huge bulk discounts. 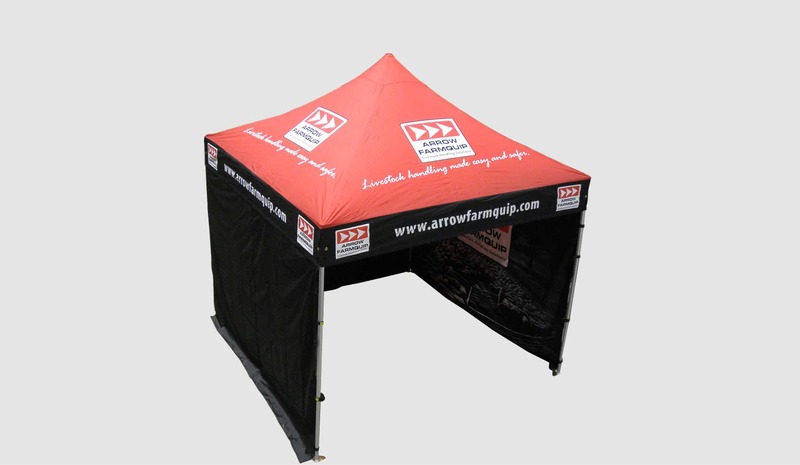 The perfect accompaniment for any outdoor event or expo. Hey - you can even use these indoors if you like! If you are ready to talk - Book in a FREE strategy session today! Yes - Book Me In!